The epic alternative history from the Miles Franklin Award–winning author of The Hand that Signed the Paper reaches its stunning conclusion. 786 ab urbe condita—33 AD. Time is running out for Yeshua Ben Yusuf, on trial for capital crimes after rioting against the moneychangers in the temple. 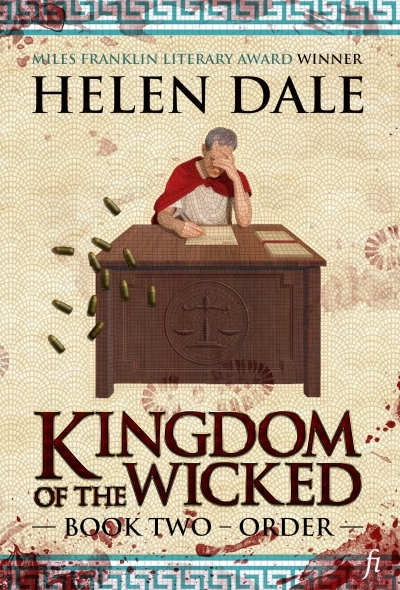 His Roman defence lawyer and the Legion’s military prosecutor bring their witnesses before Pontius Pilate—followers, soldiers, religious leaders, even his mother—revealing the accused man in ways that surprise and move those gathering for the verdict, shifting the orbit of their lives. As Yeshua Ben Yusuf awaits judgment, the wounded Zealots prepare a final desperate strike. On the outskirts of Jerusalem, the occupation, the resistance and one holy man will meet their fate together.